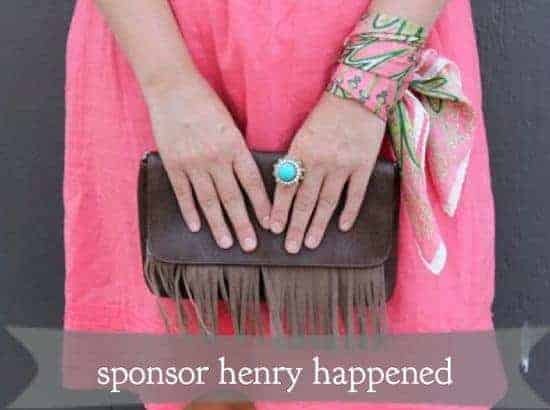 I am super excited to announce that I am now offering sponsorships on Hello Glow! Blogging has meant so much to me and I am thrilled to share this space to offer exposure to other bloggers, indie businesses and artists. Fall is a great time to sponsor. My birthday is in October, and it’s going to be a party here! Then it’s the holidays with gift guides and gift how to’s. Our loyal reader base of 2900 subscribers, 1,000+ Facebook fans and 350+ Twitter followers is full of fashionistas, moms, bloggers, shoppers and DIY lovers. With 85,000 page views in the past month your ad is sure to get great exposure! And for a limited time, if you buy a 3 month package, you’ll get a 4th month FREE! If you have a blog, shop, clothing store or jewelry line and are looking to get the word out to more fashion loving people, get more information HERE. Or send me an email at [email protected] for more info on rates and stats. Great idea. And love that ring.